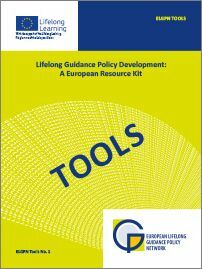 The European Lifelong Guidance Policy Network (ELGPN) has published the EU Guidelines for Lifelong Guidance Policies and Systems: A Reference Framework for the EU and for the Commission, providing indications to policy makers on how to develop holistic career guidance systems. The guidelines cover all relevant sectors and policy fields, including employment, education, training, youth, migrations and senior workers. Cedefop has collaborated with the Member States and the European Commission in the development of the guidelines, by providing structured input on all its areas of expertise. The guidelines also draw on the original reference publication of Cedefop on Improving lifelong guidance policies and systems.